Purified poop from a healthy person may help obesity and diabetes sufferers slim down, a medical school says. Gut microbiota is a vast ecosystem of microorganisms residing in the digestive system that includes bacteria, fungi, archaea and viruses, Chinese University researchers said. And much like fingerprints, every person has a unique microbiota and it differs with age, gender and race. A slim and healthy person's microbiota may be better in terms of quality and quantity than that of an overweight and unhealthy person. Transplanting these microorganisms - found in poop - to a patient may help fight diabetes and intestinal inflammation. 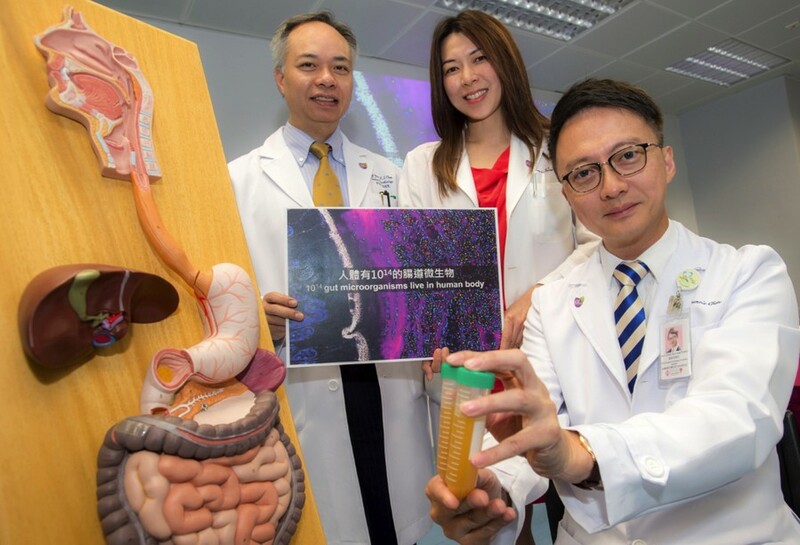 The university's faculty of medicine recently established Asia's and Hong Kong's first microbiota transplantation and research center to look into the microorganisms' role in health. Medicine and therapeutics professor Ng Siew-chien said in the past 18 months the team has conducted transplantation on 80 people, including those suffering from clostridium difficile infection, irritable bowel syndrome and obese diabetic patients. She said the faculty is conducting research to confirm the effectiveness of transplanting microbiota from a slim person to obese patients with type 2 diabetes. The team has recruited 22 people with a body mass index of over 28 - those who are categorized as obese. Two-thirds of the group received the transplantation. After six months, 40 percent of them lost an average of 10 kilograms, with one of the patients slimming down by 12kg. Ng said the patients' cirrhosis condition became significantly better and their diabetes became milder as their blood glucose level dropped by 6 percent. She said primary results showed that the process can help ease diabetes, though more patients would have to be recruited to conduct a thorough study. Department of microbiology chairman Paul Chan Kay-sheung said the requirements for stool donors are stricter than those for blood and organ donors. These include their health condition, lifestyle, family history and mental state. The process purifies the stool through sterilization and distillation until it is transformed into frozen microbiota solution ready for transplantation.